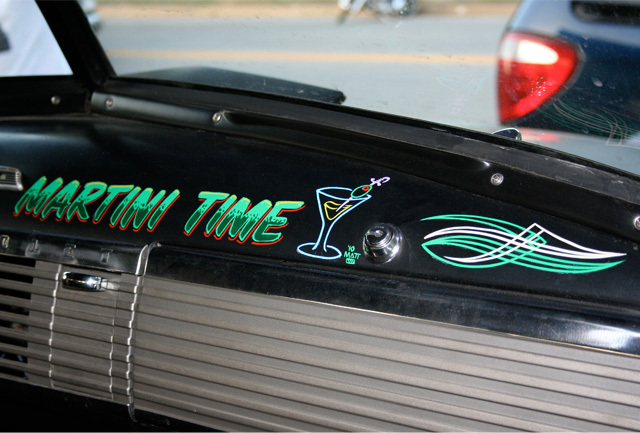 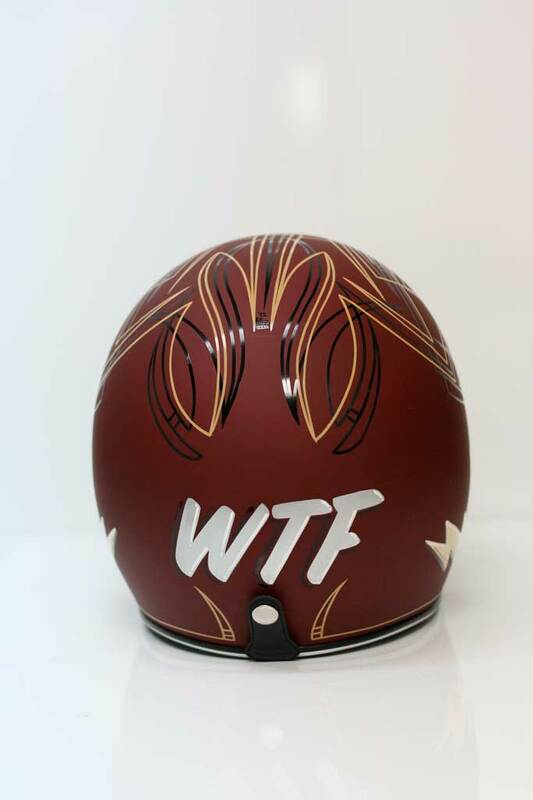 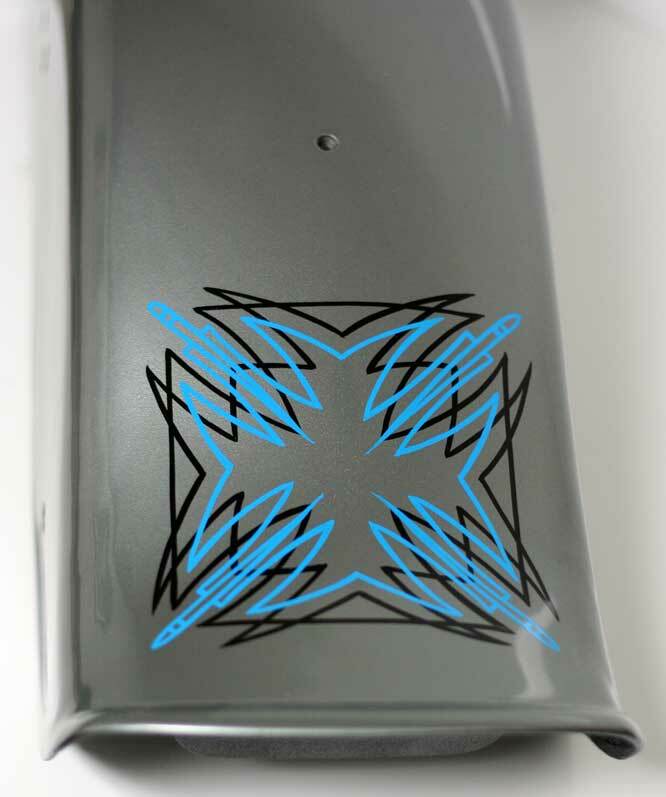 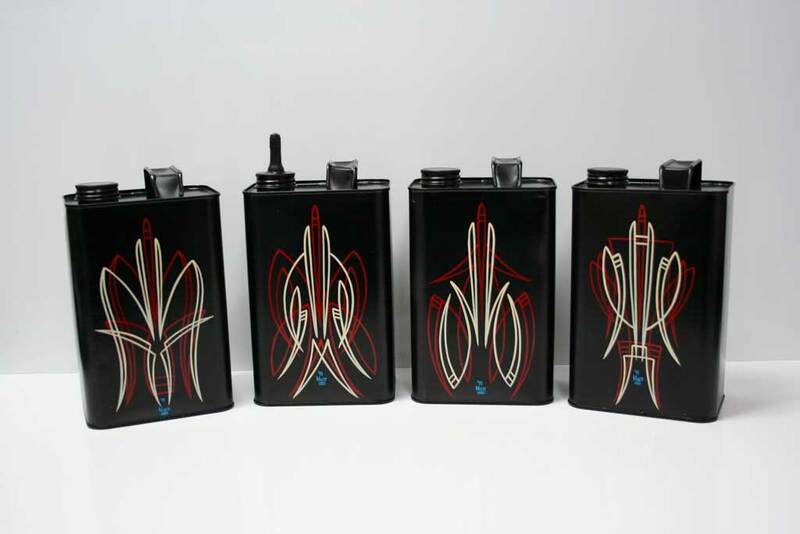 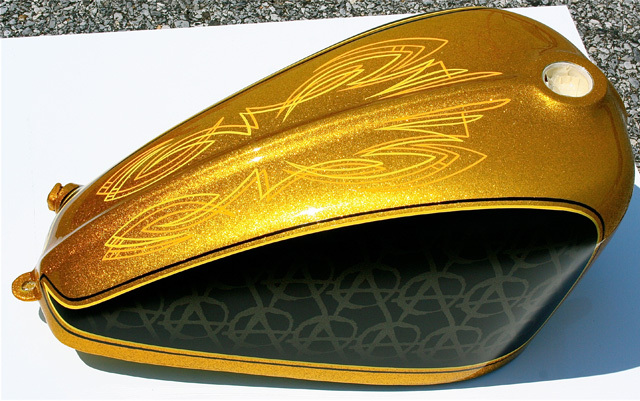 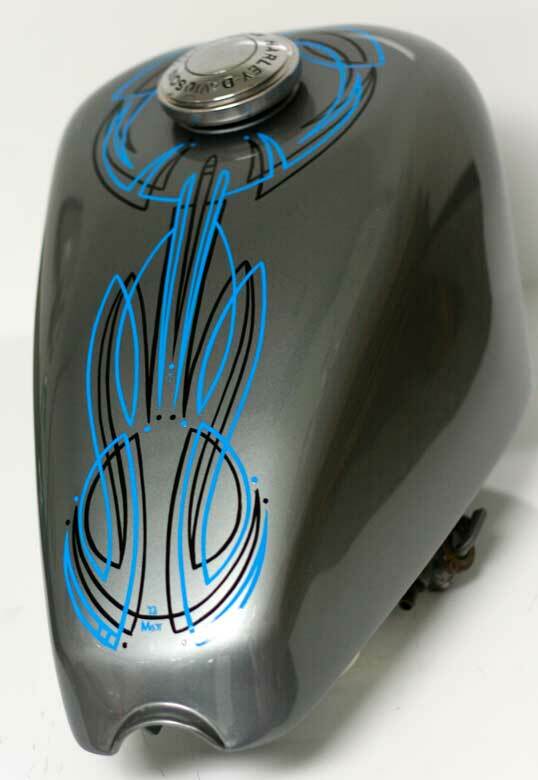 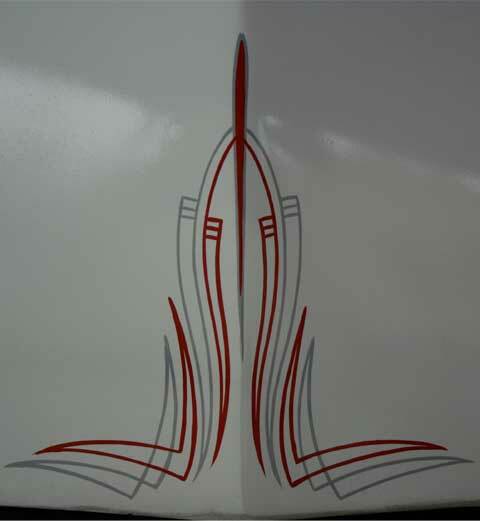 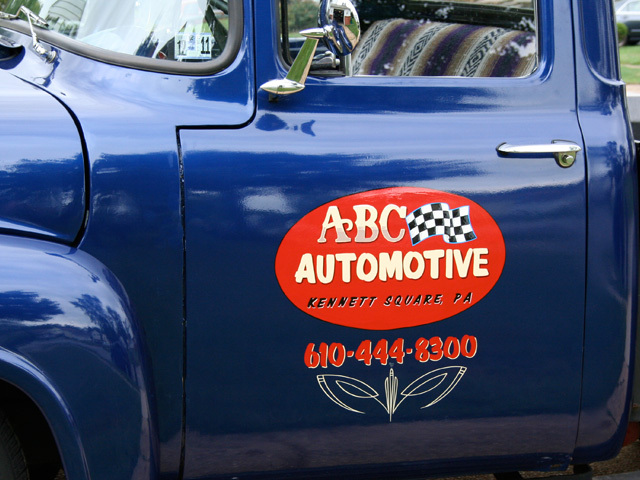 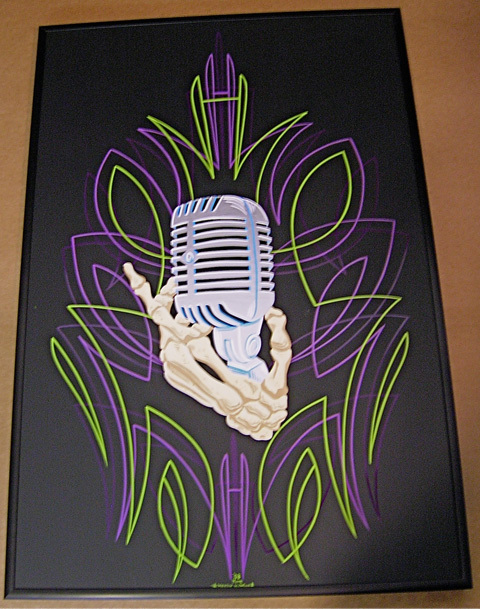 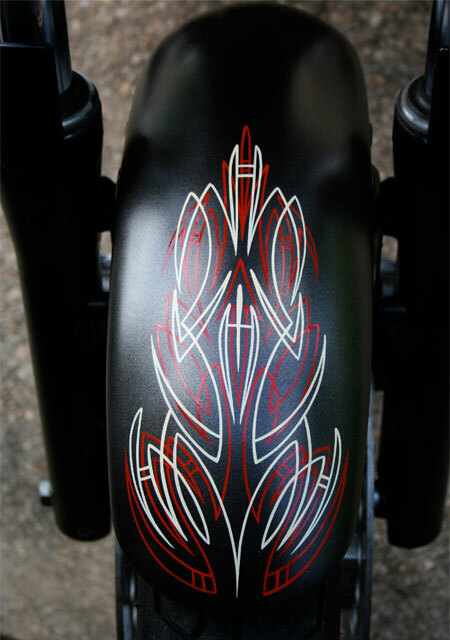 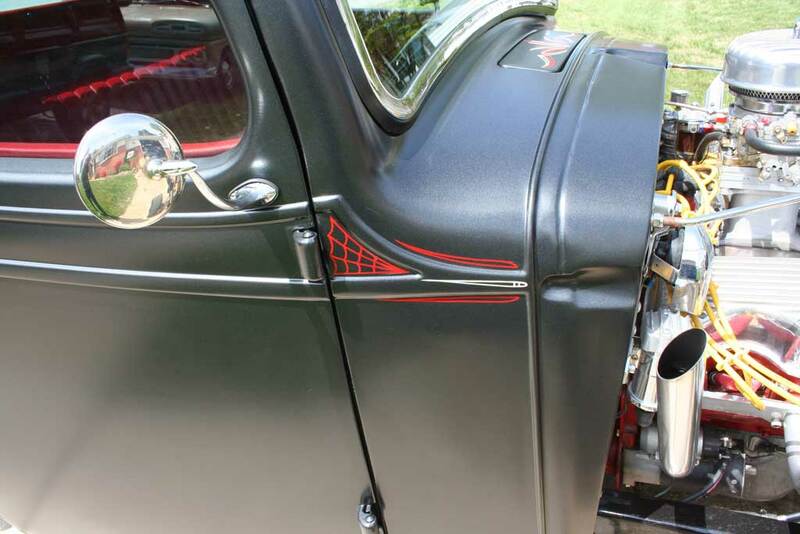 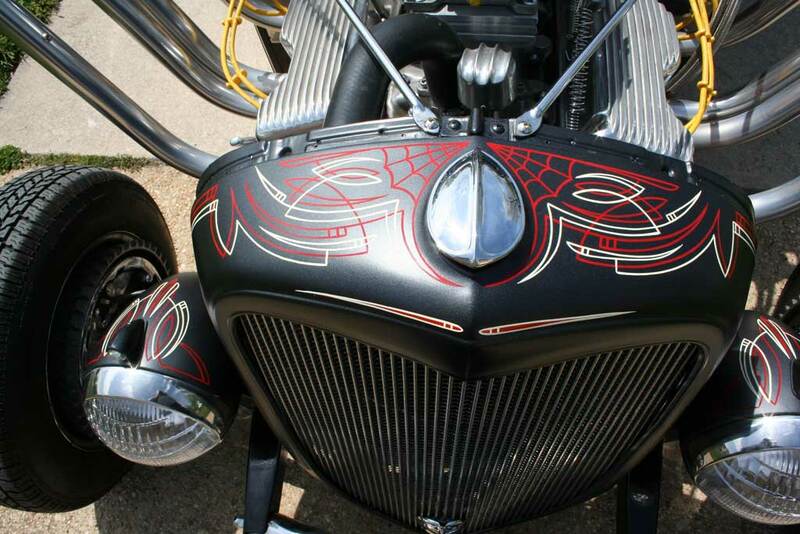 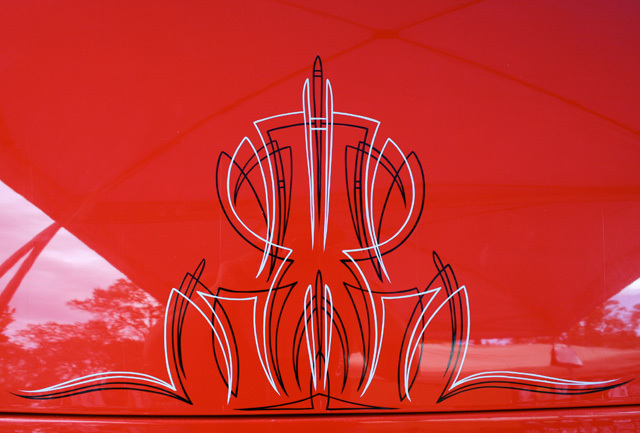 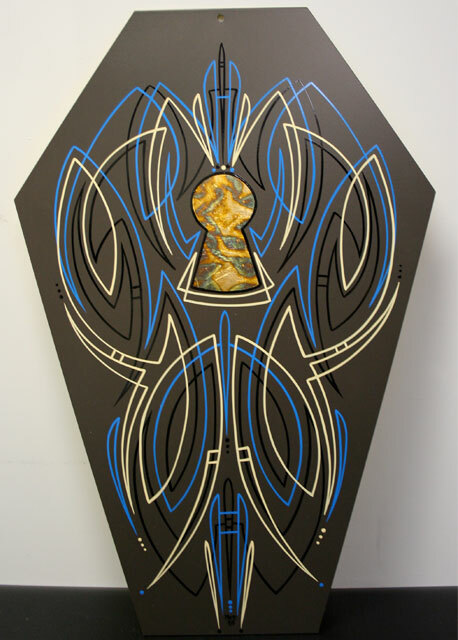 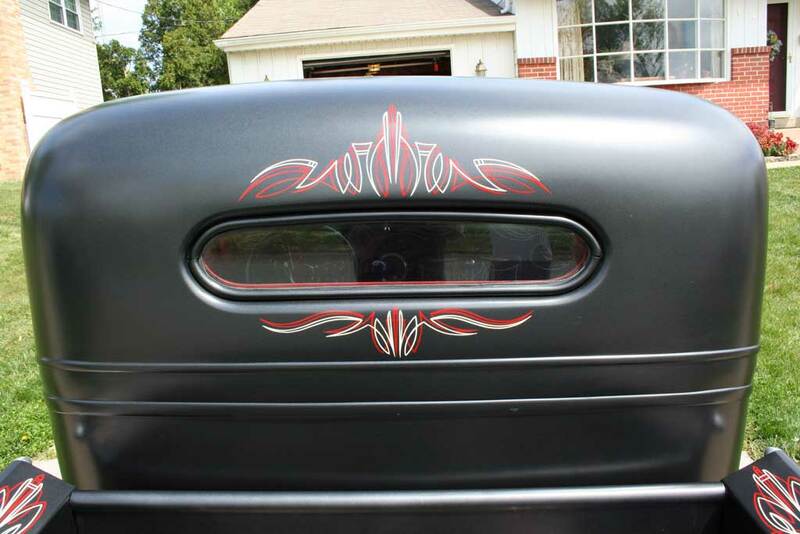 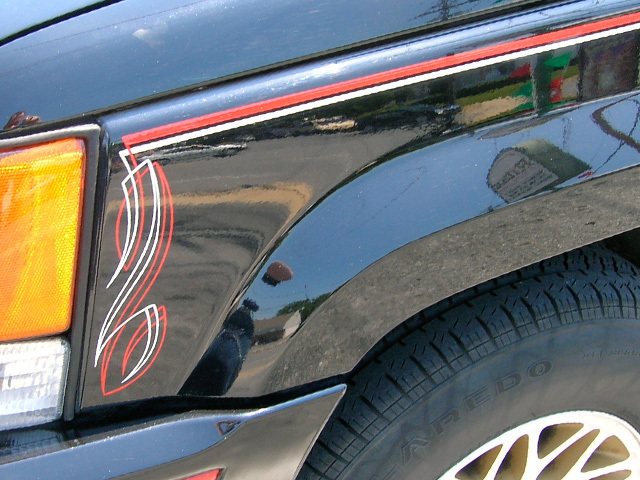 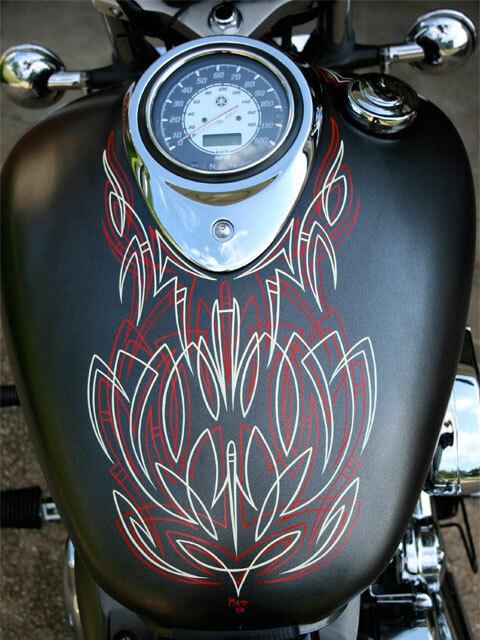 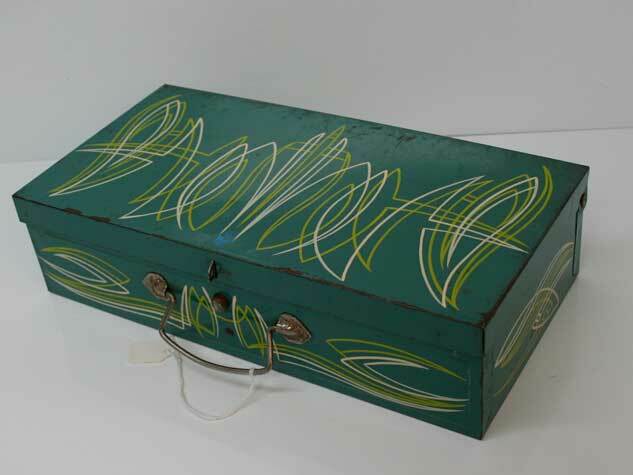 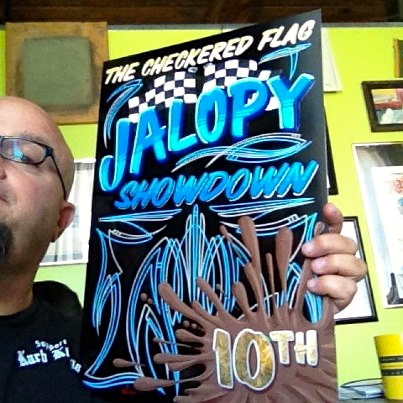 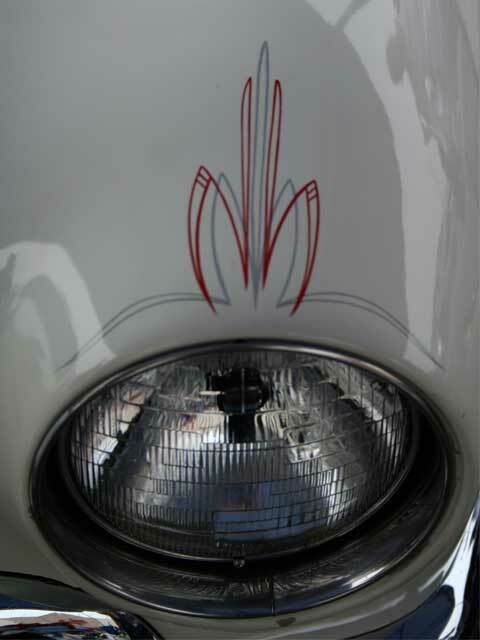 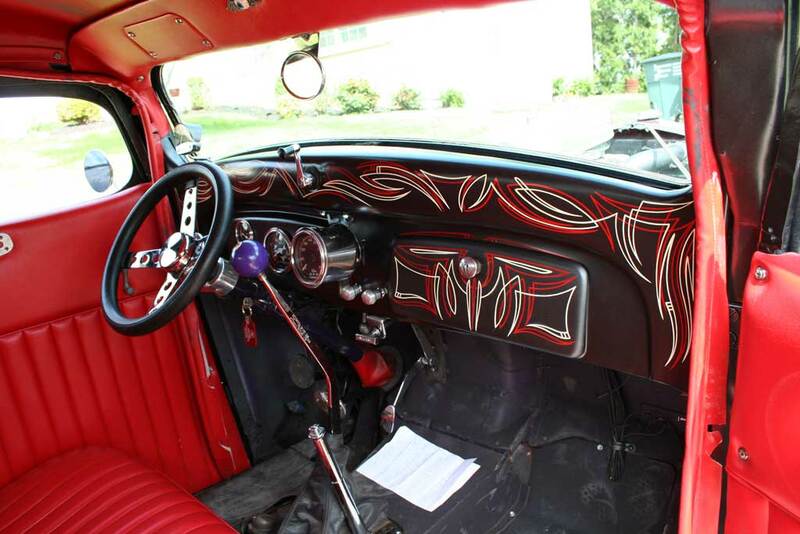 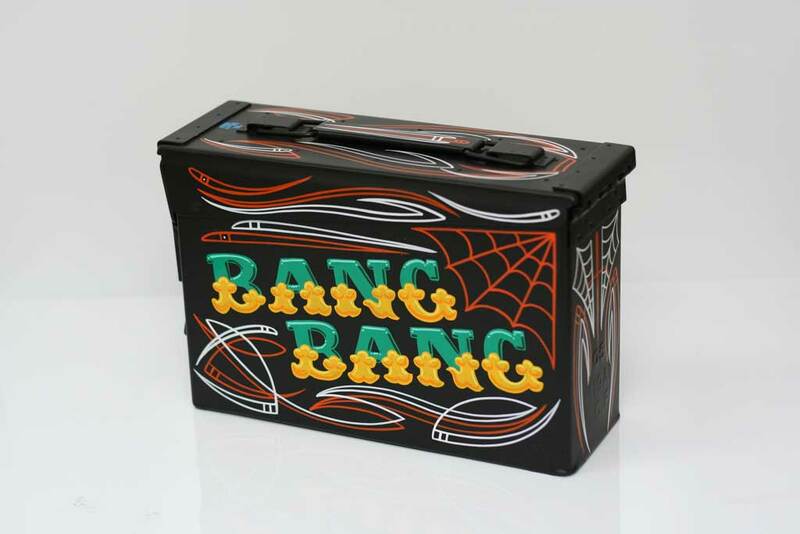 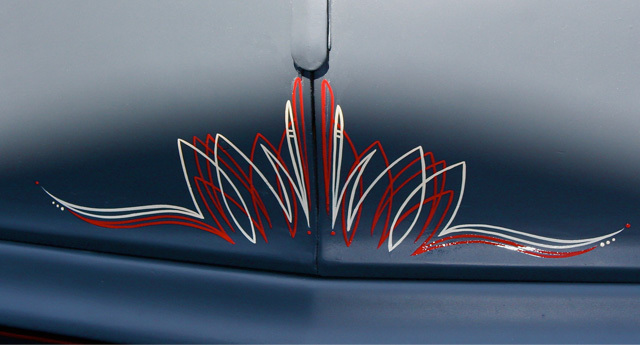 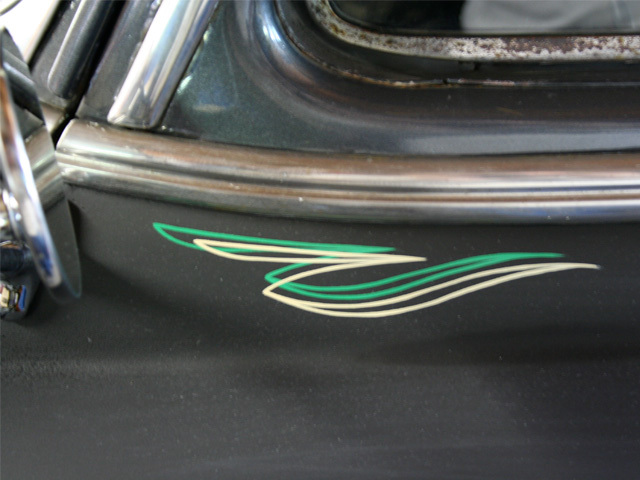 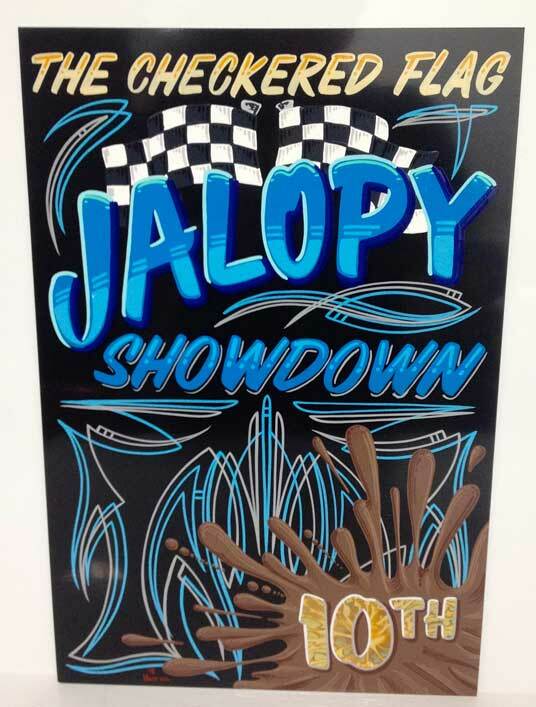 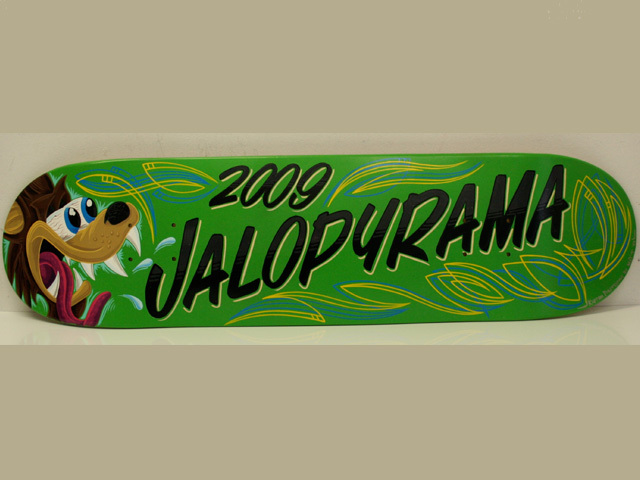 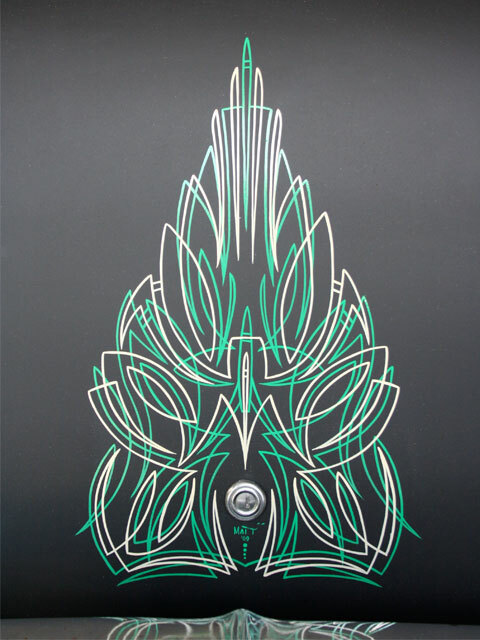 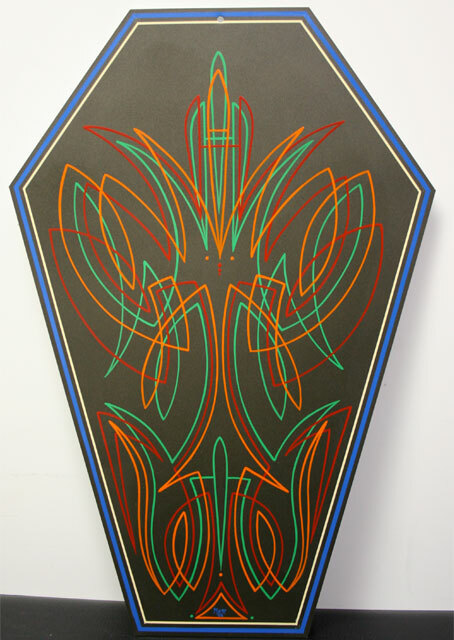 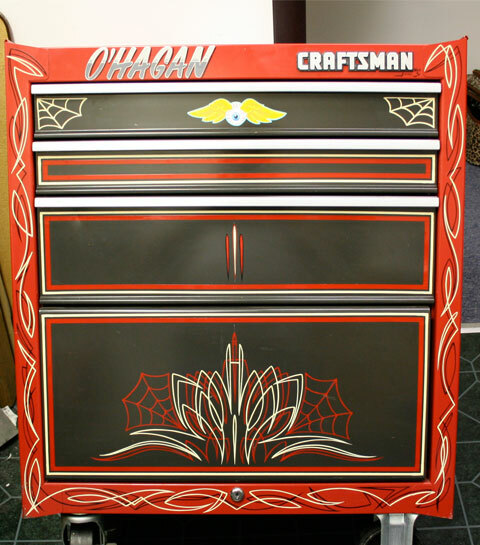 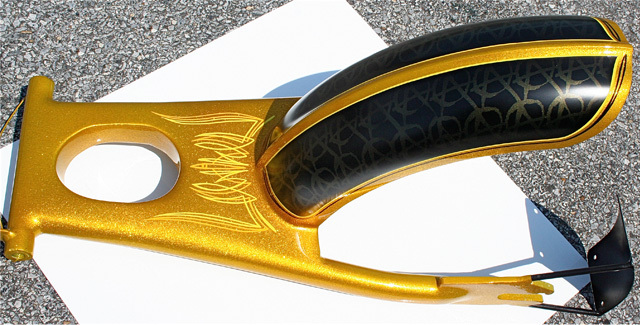 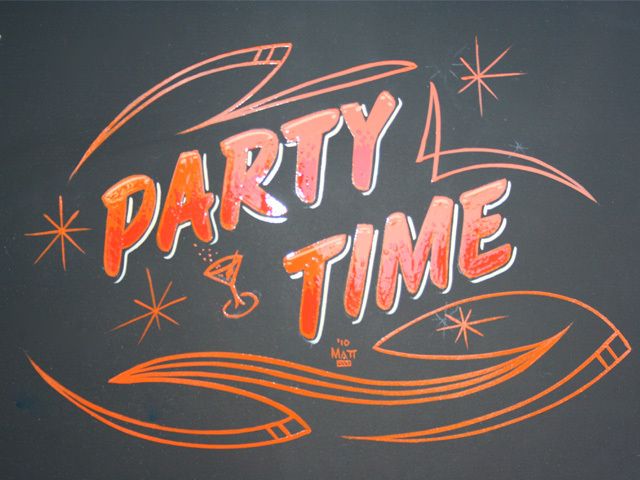 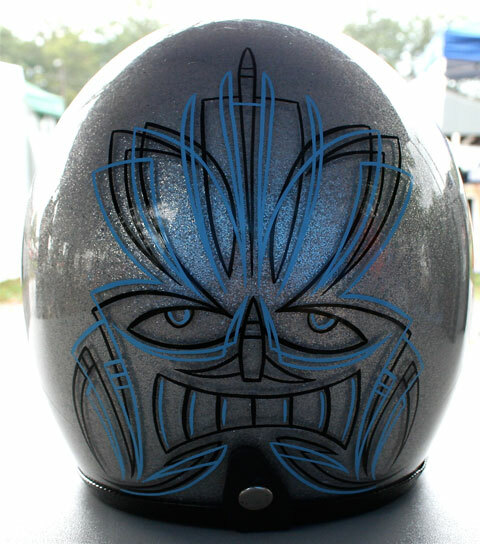 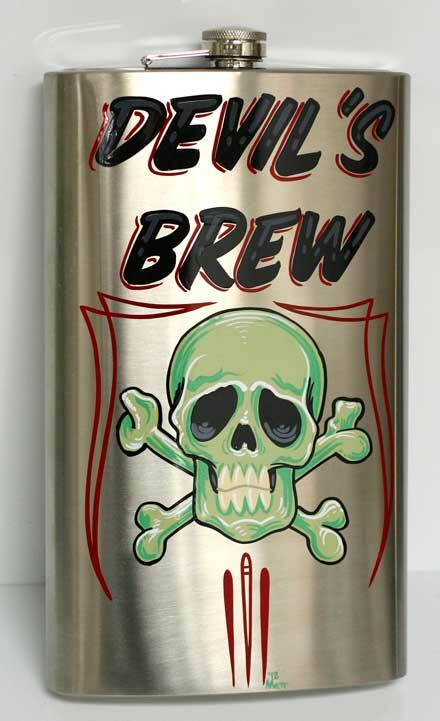 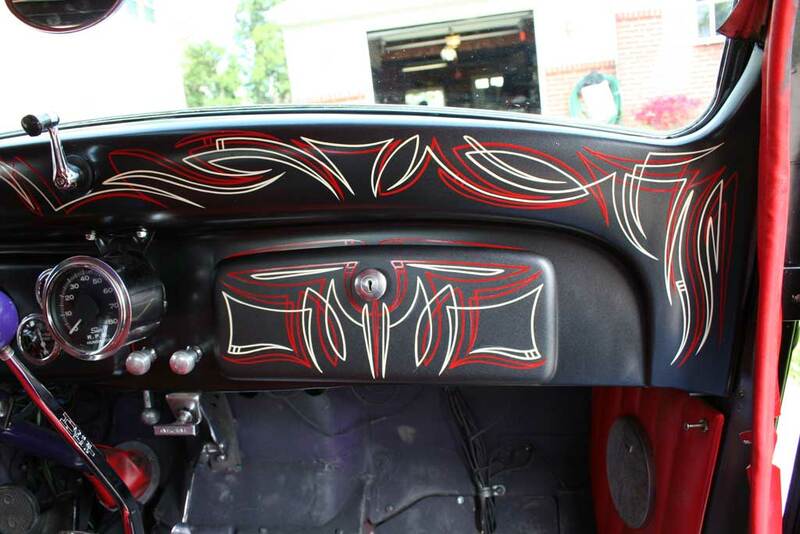 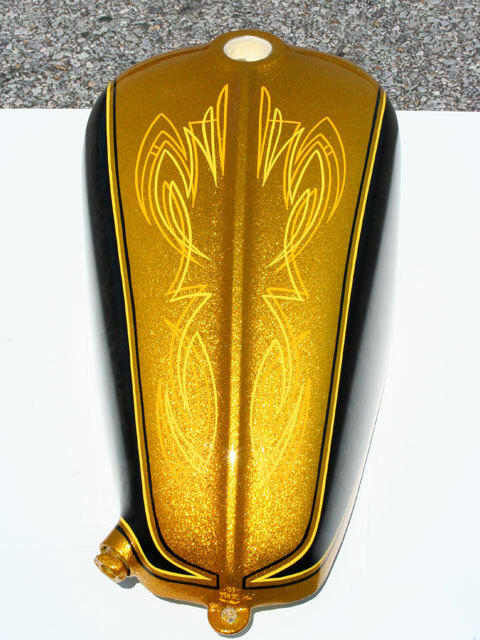 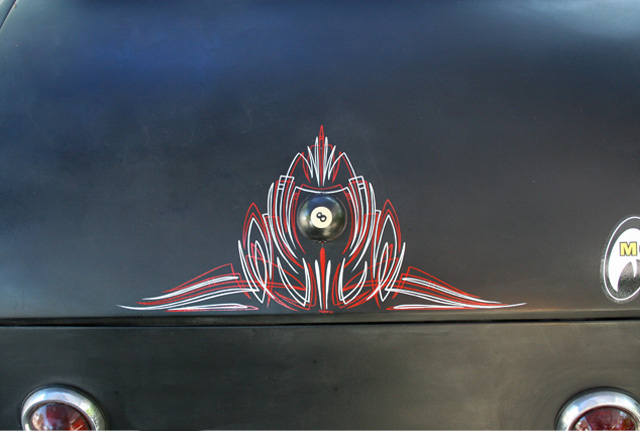 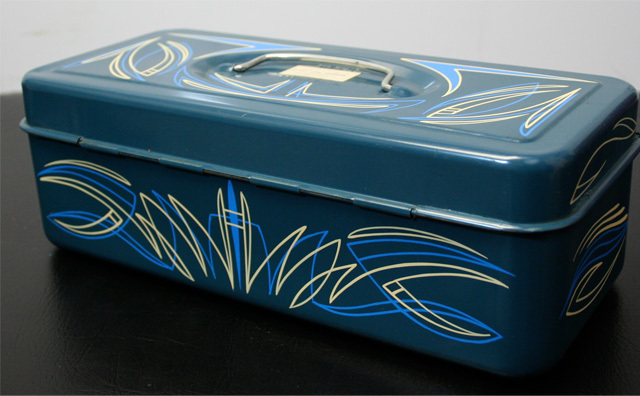 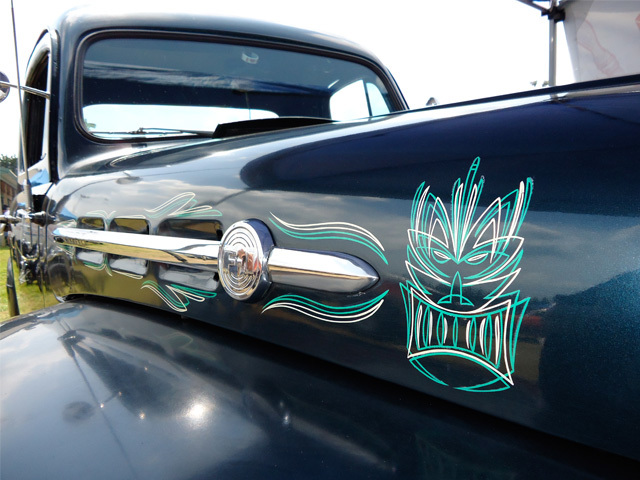 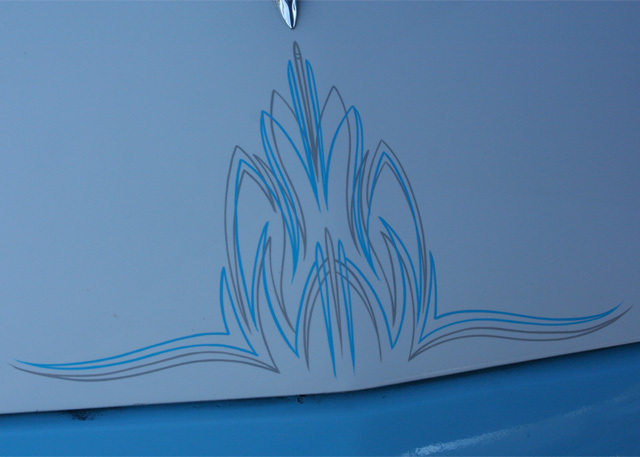 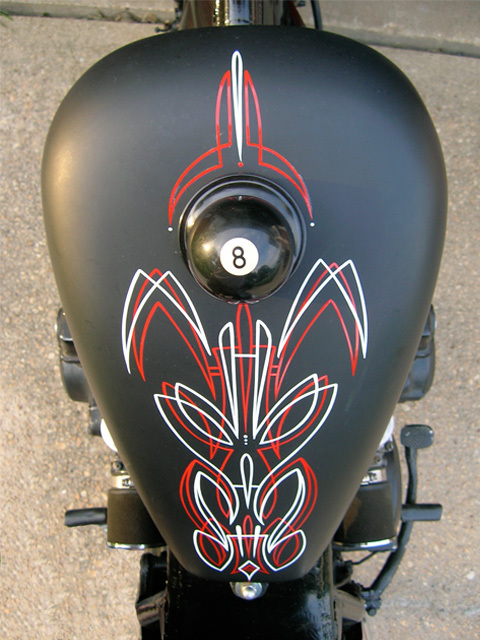 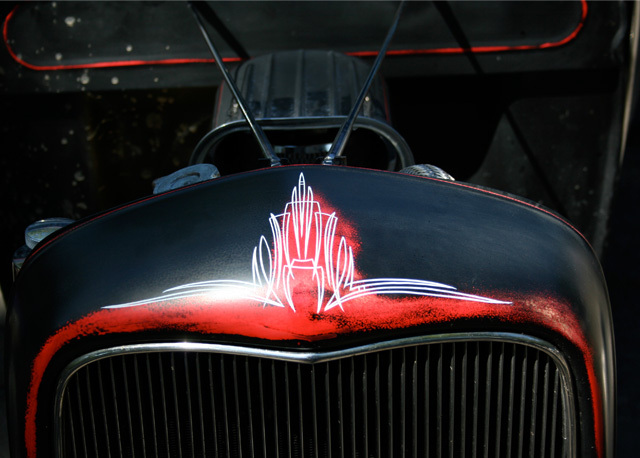 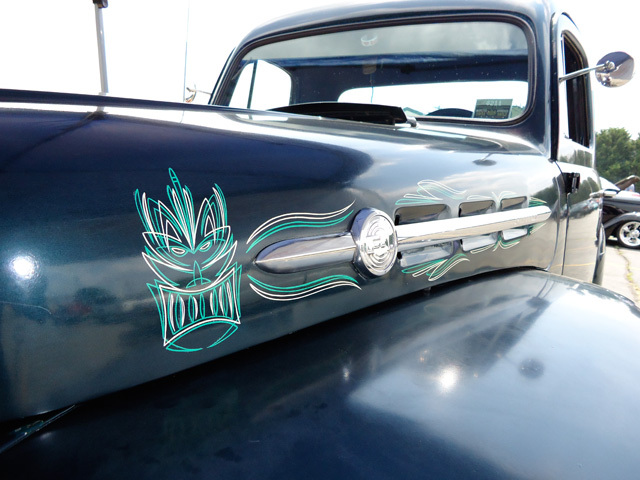 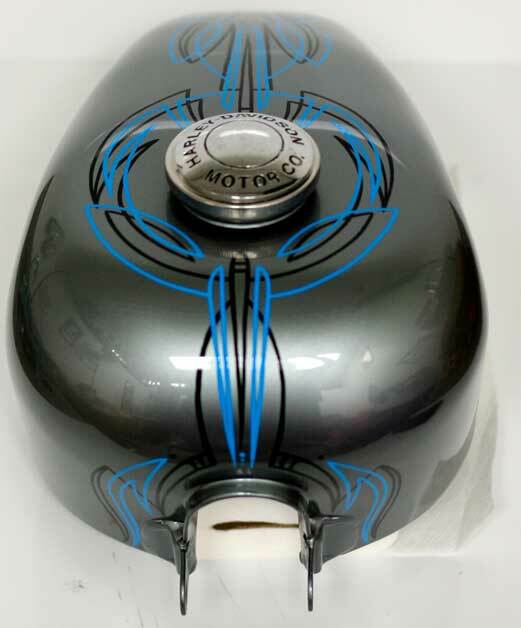 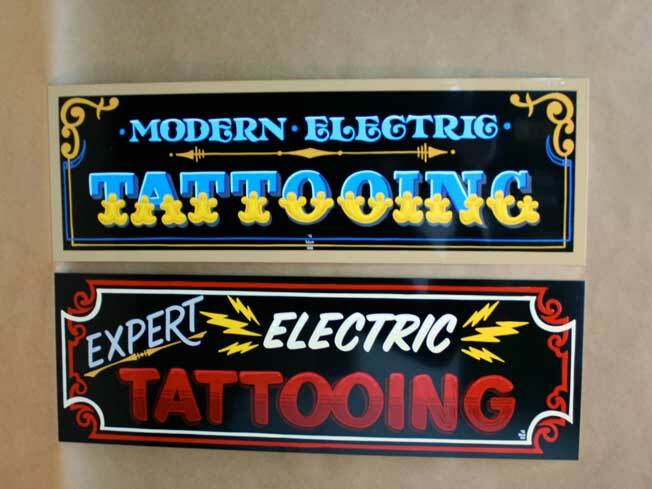 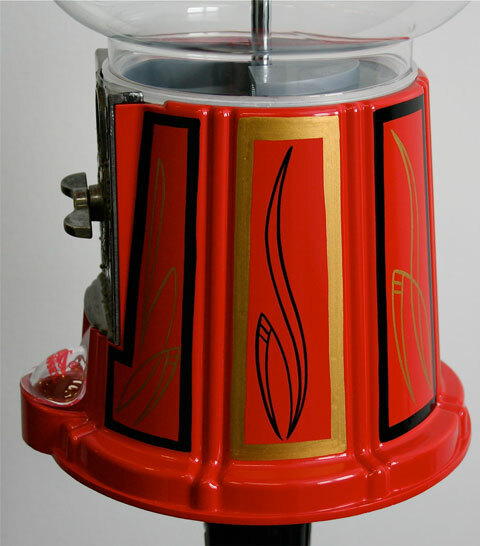 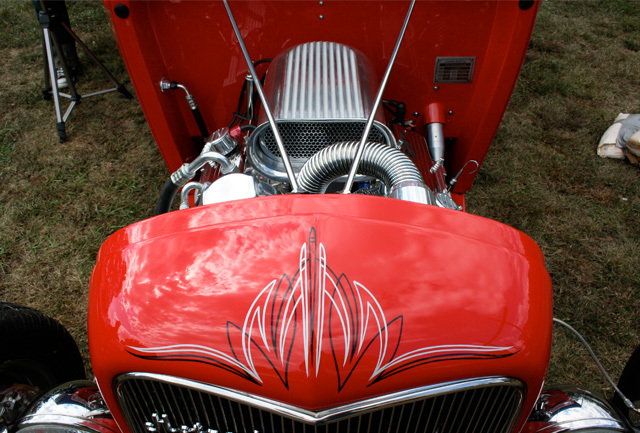 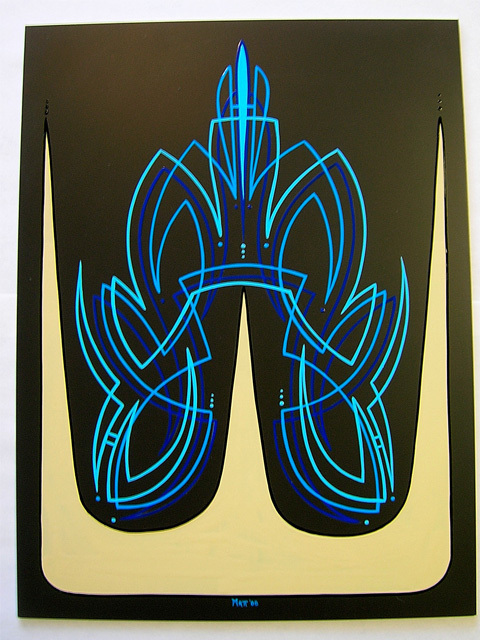 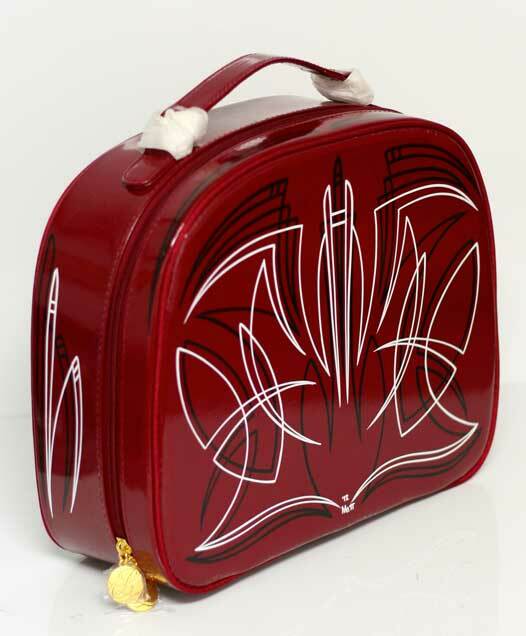 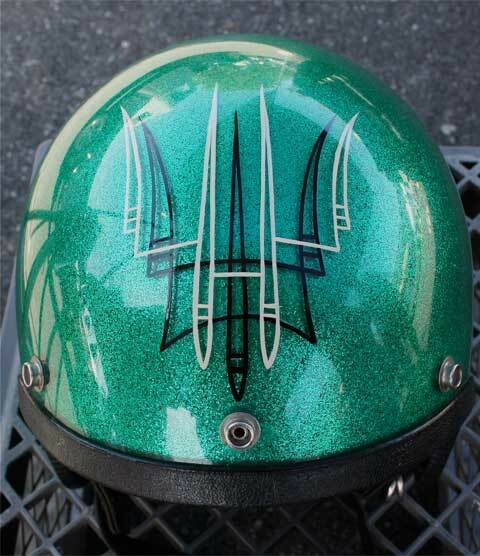 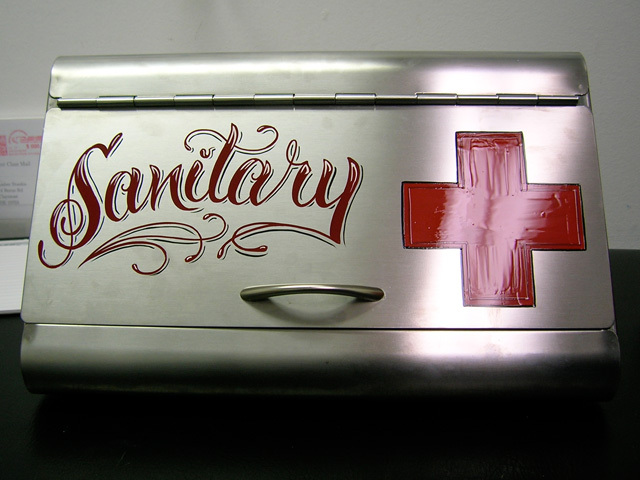 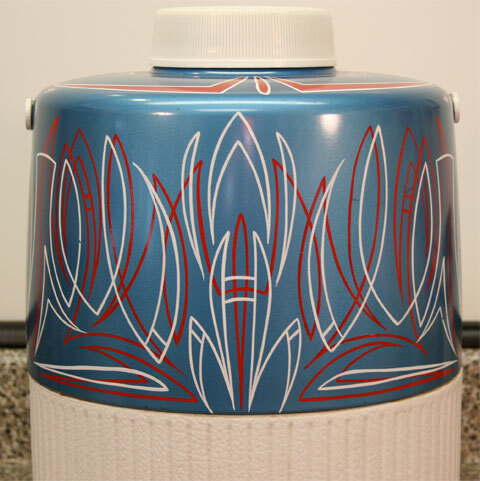 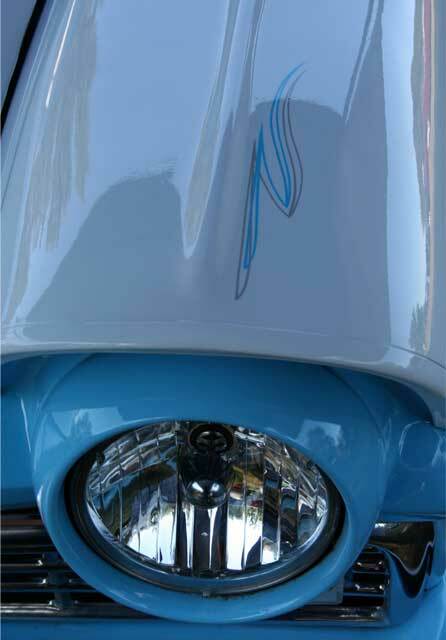 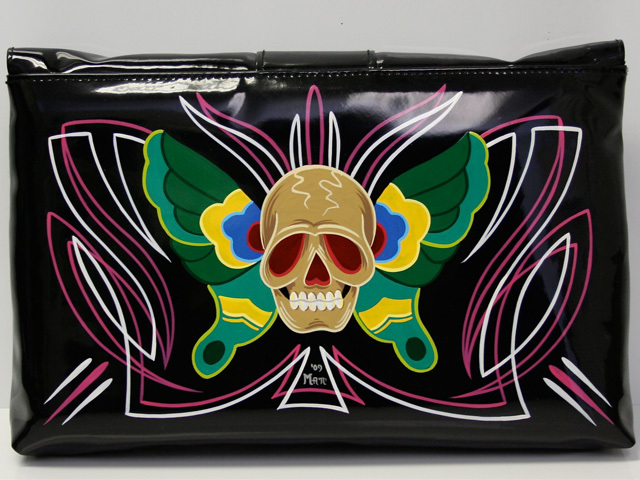 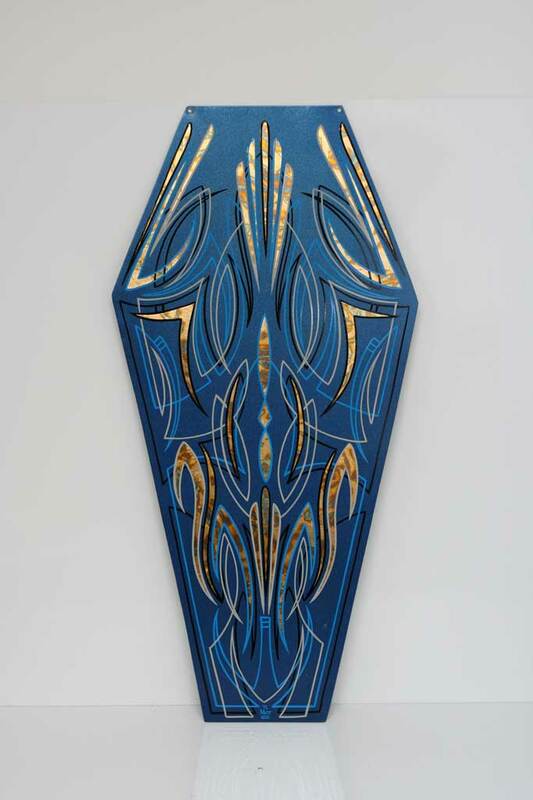 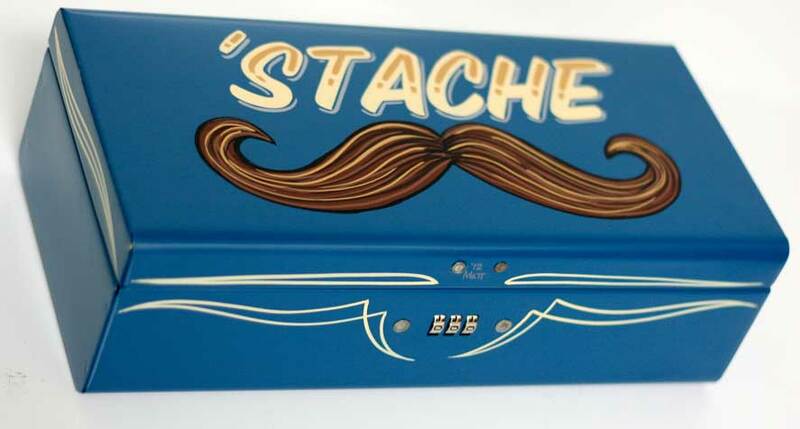 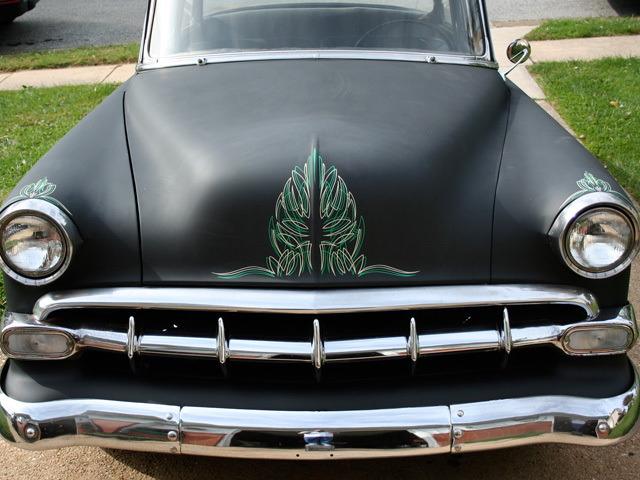 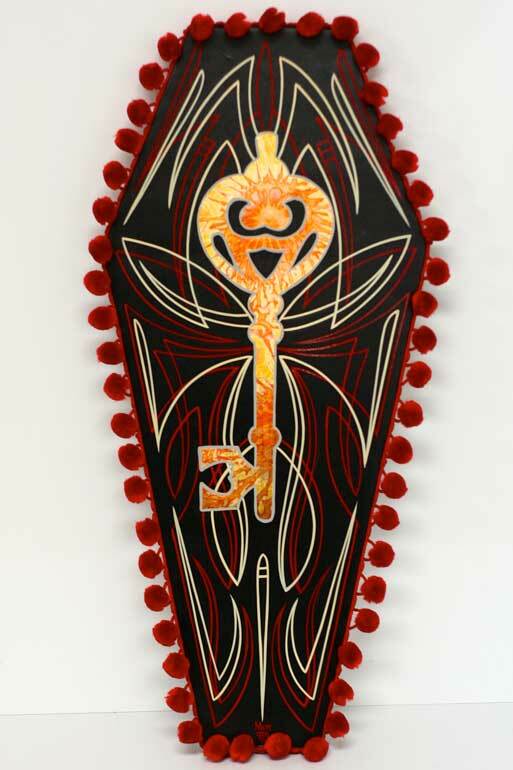 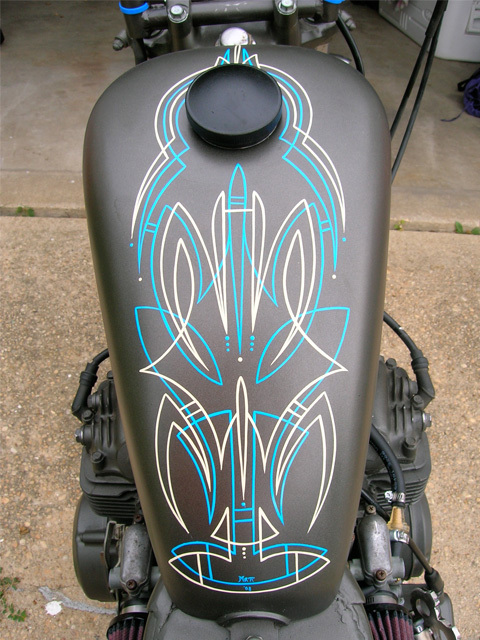 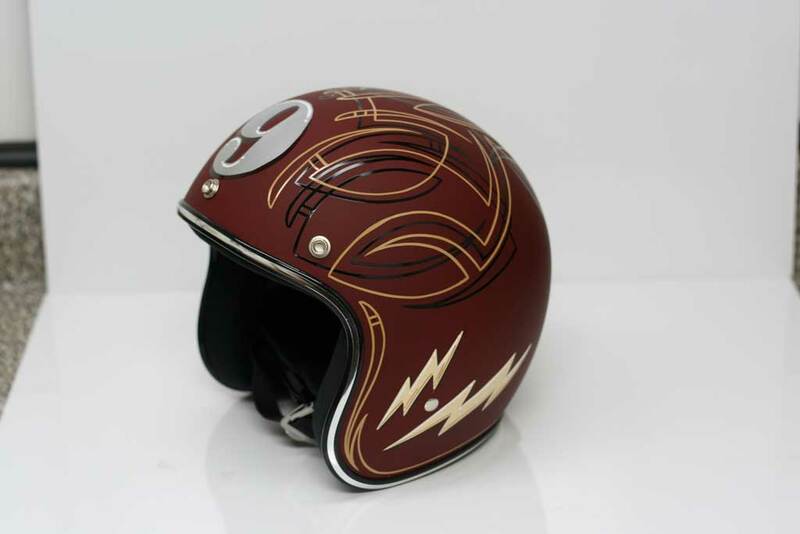 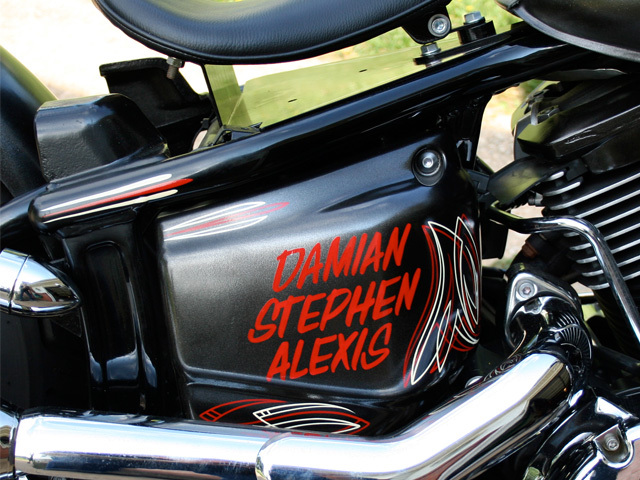 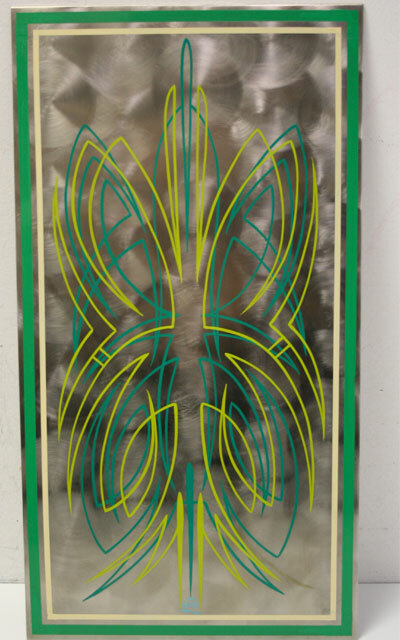 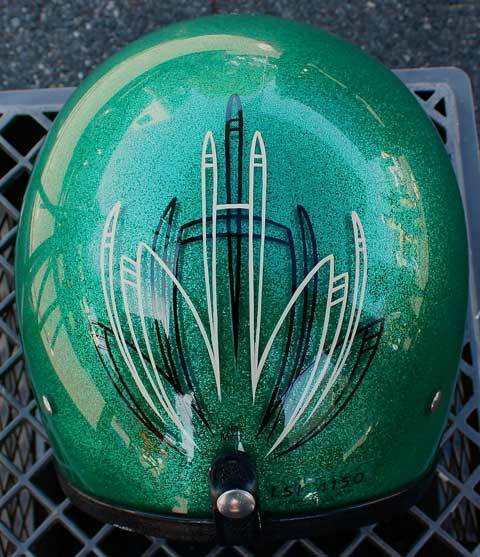 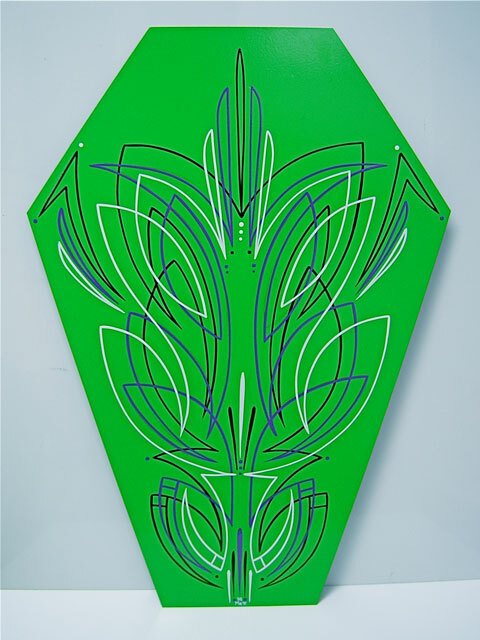 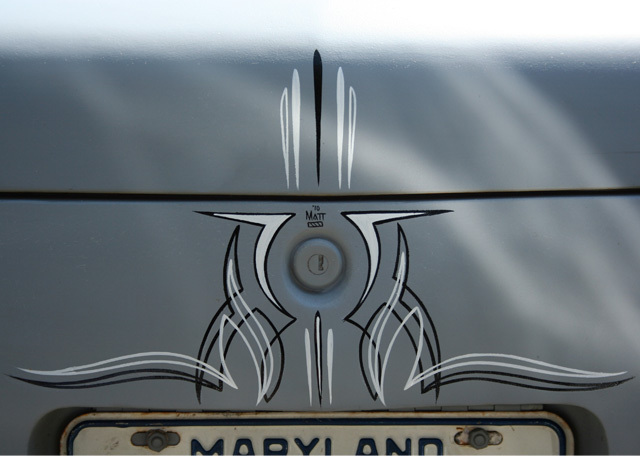 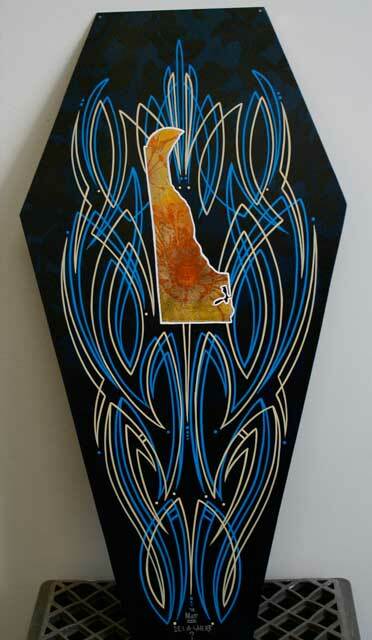 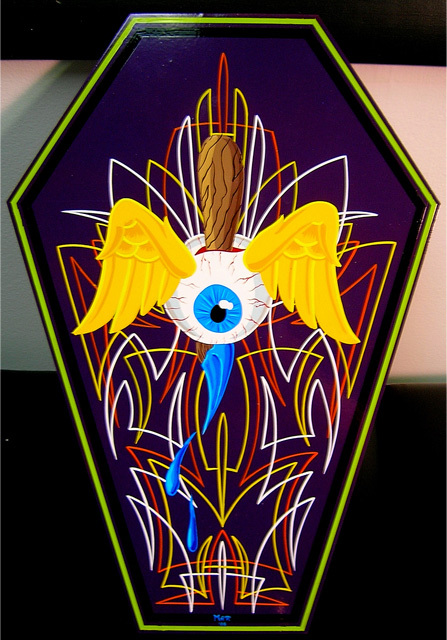 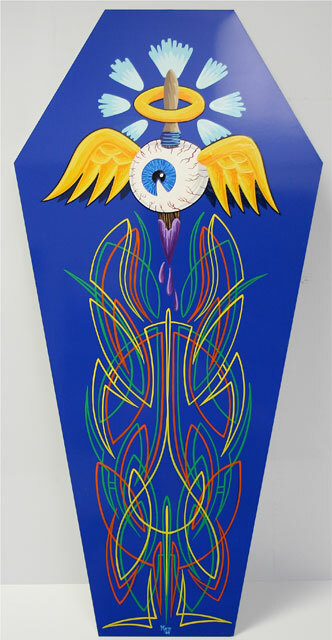 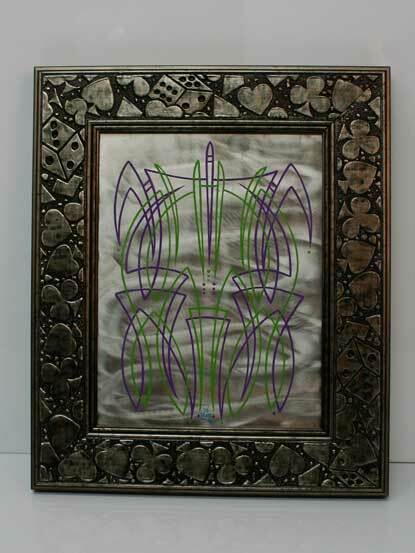 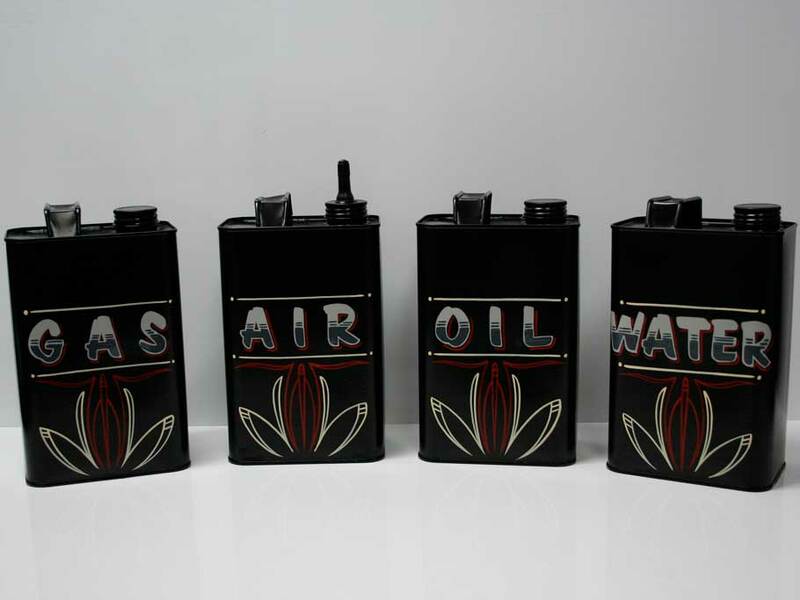 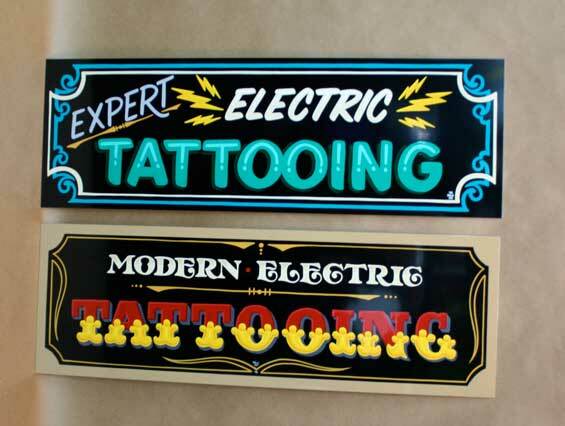 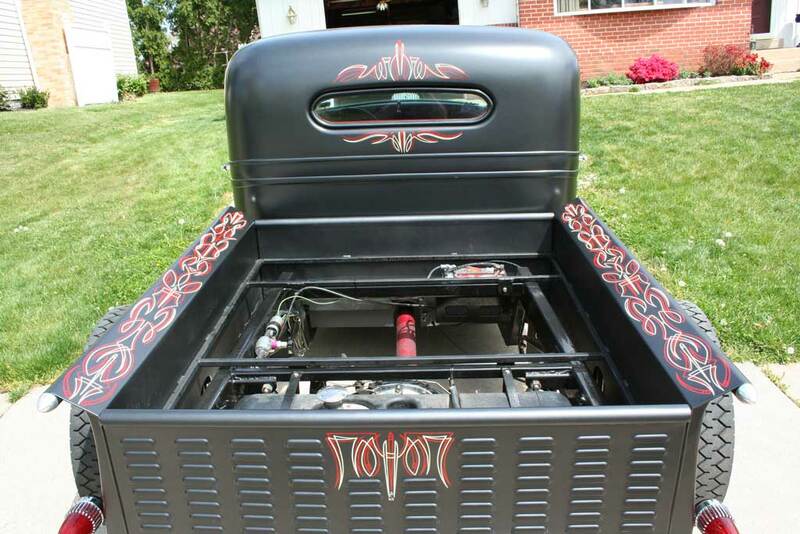 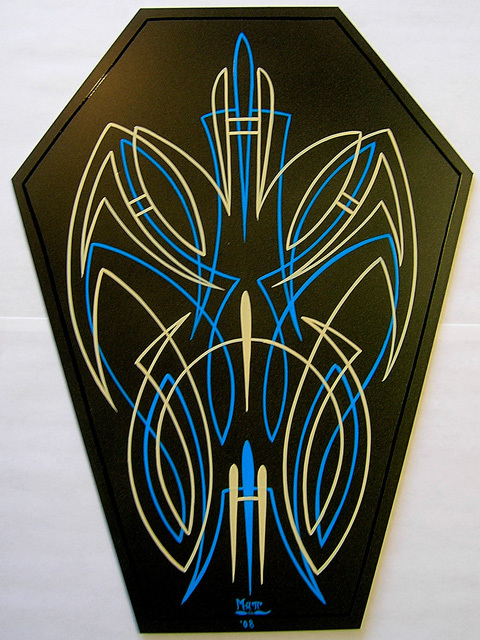 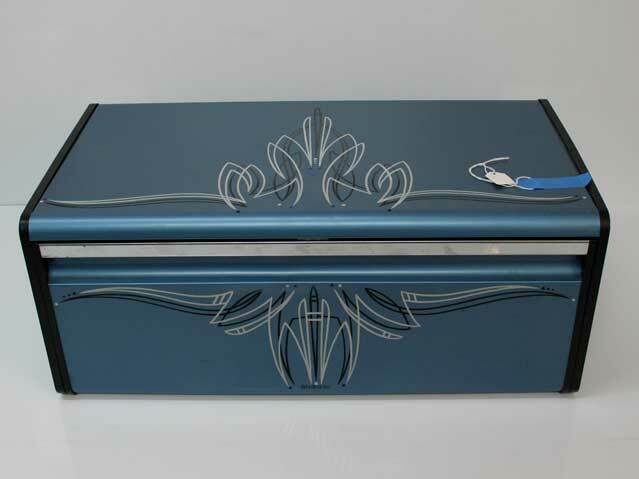 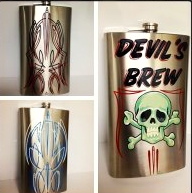 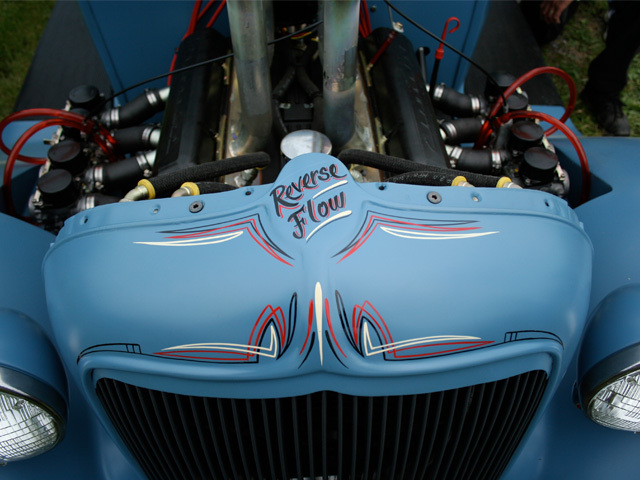 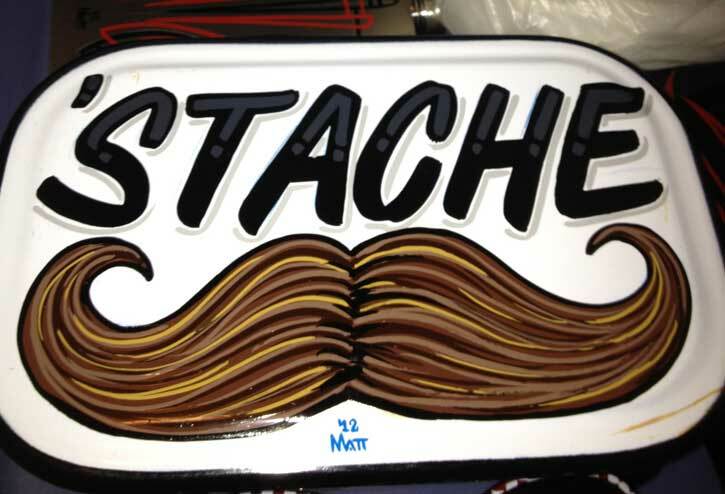 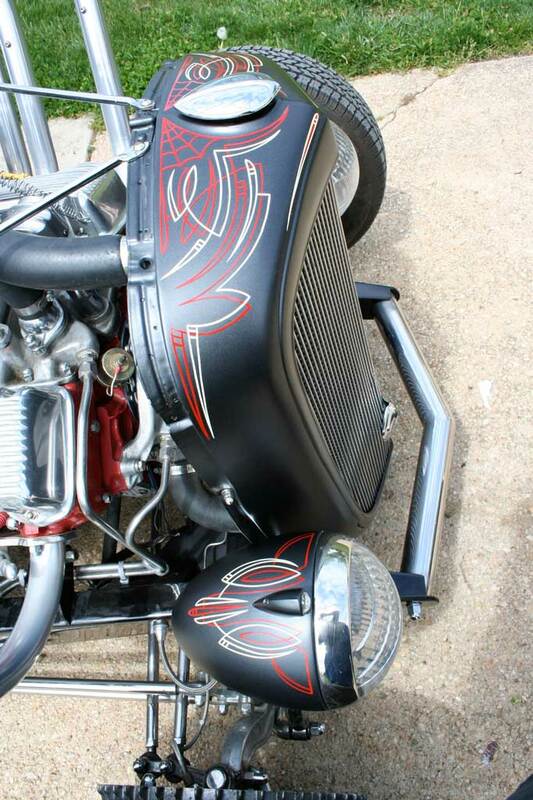 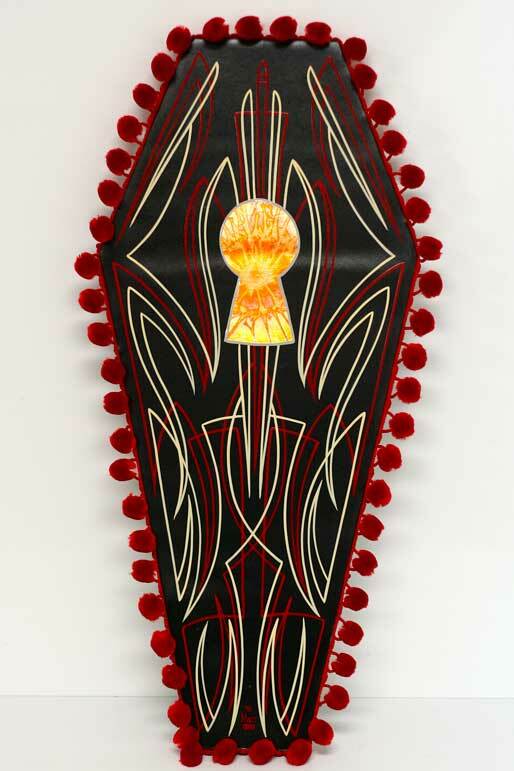 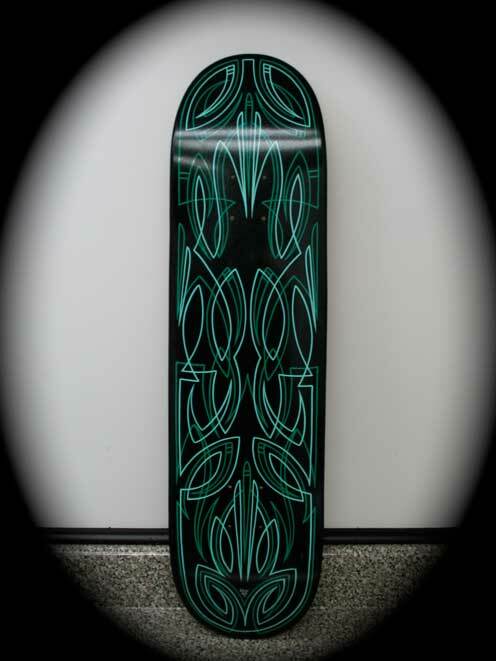 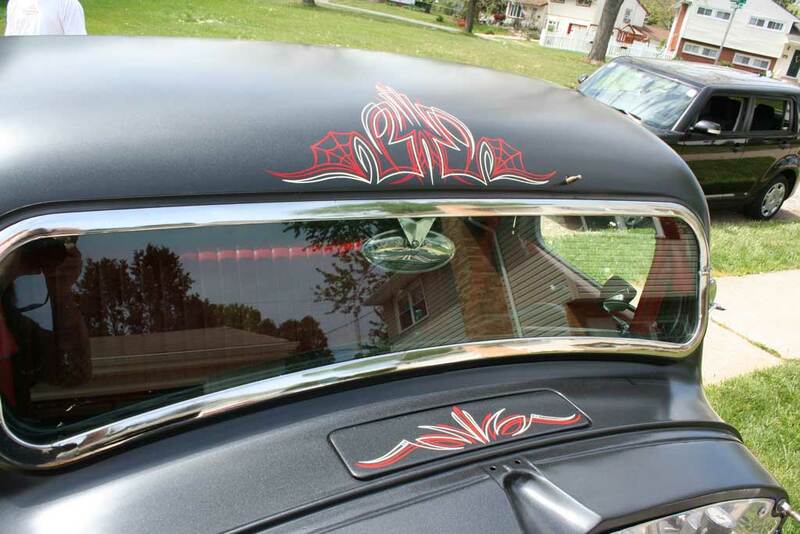 Matt Stankis is known for his classic ‘50s pinstriping style. 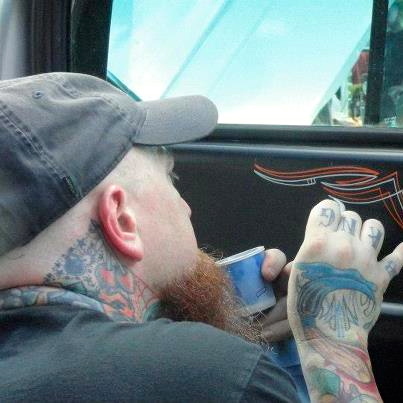 He regularly works car and bike shows up and down the East Coast. 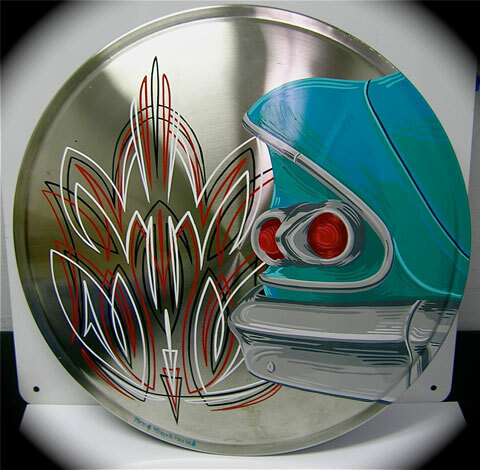 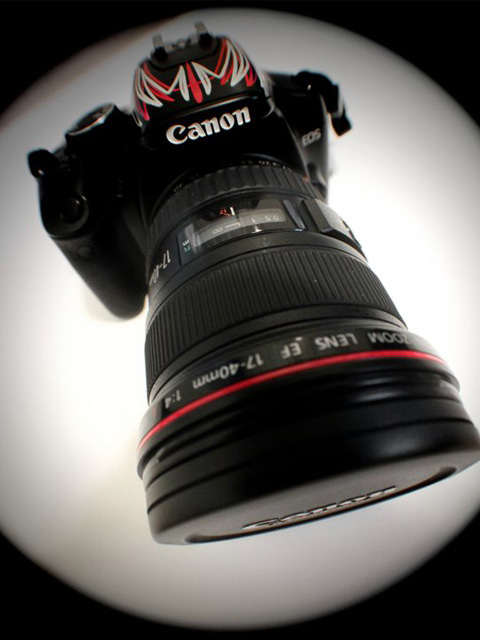 Feel free to browse through the portfolio for examples of his work. 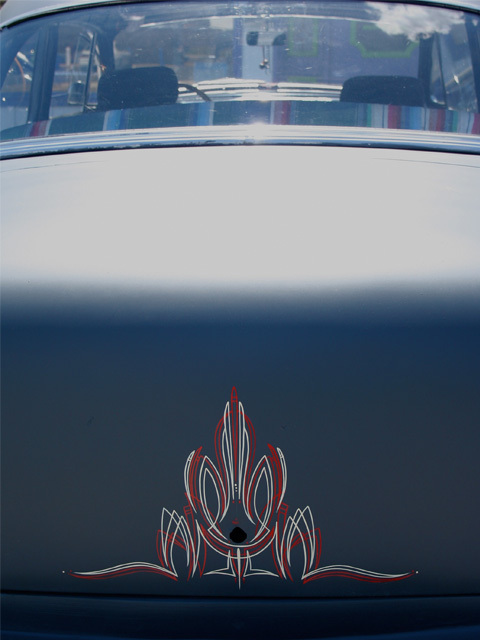 Also, you may share pics from our website, with proper credit of course, on your Pinterest, Tumblr, Facebook or Twitter accounts, just click the appropriate button below the picture. 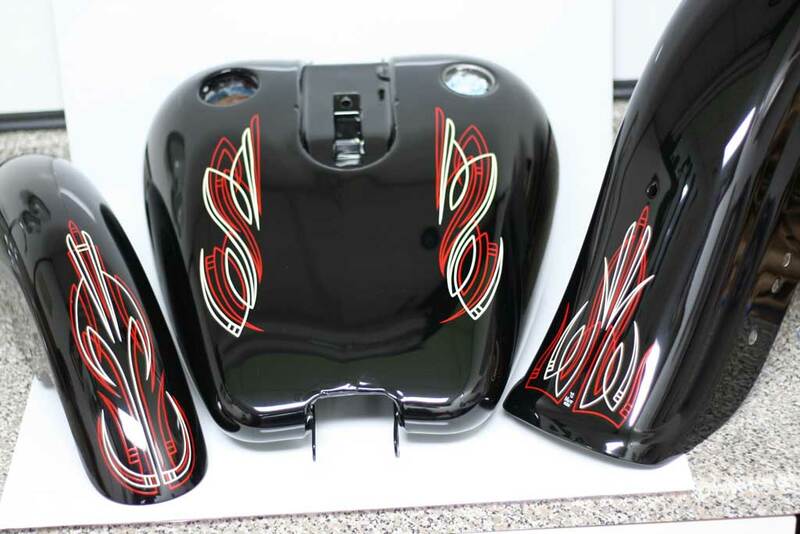 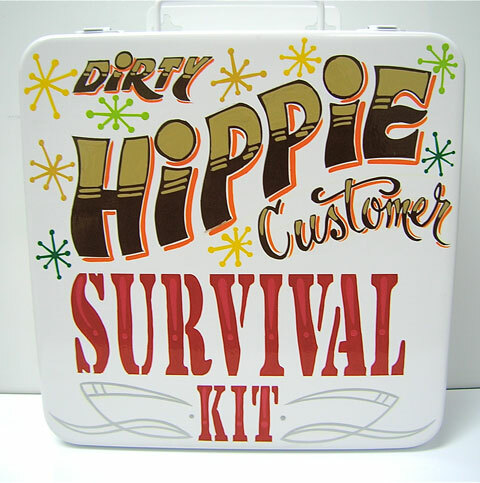 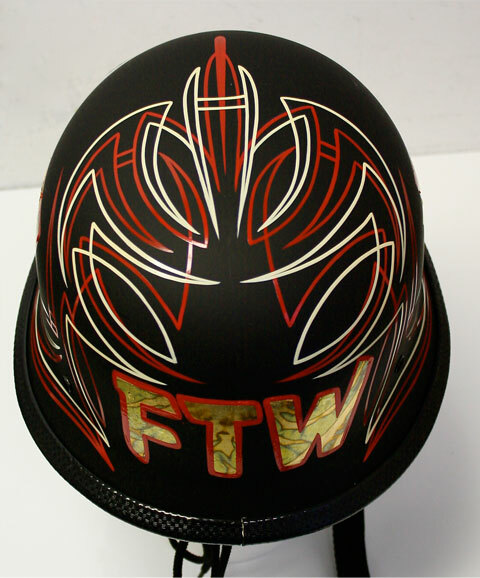 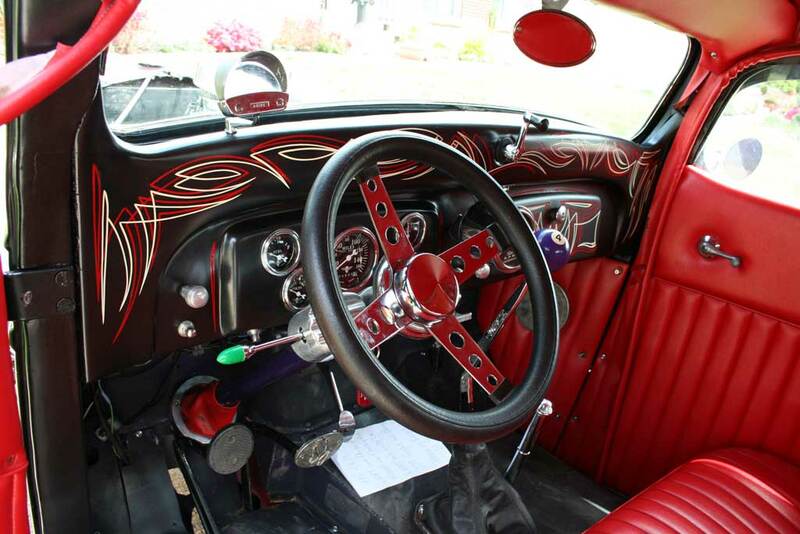 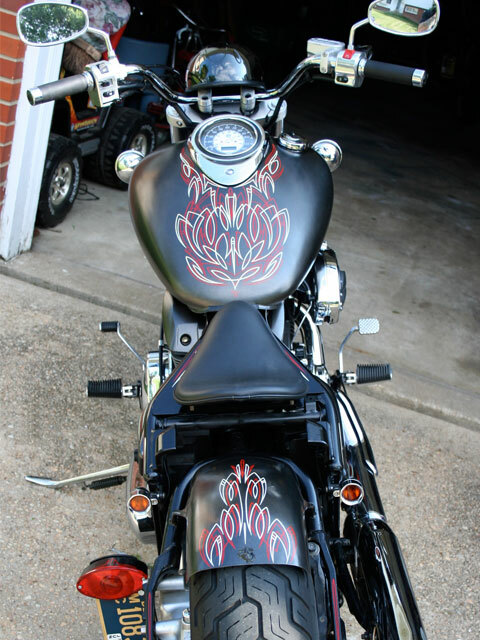 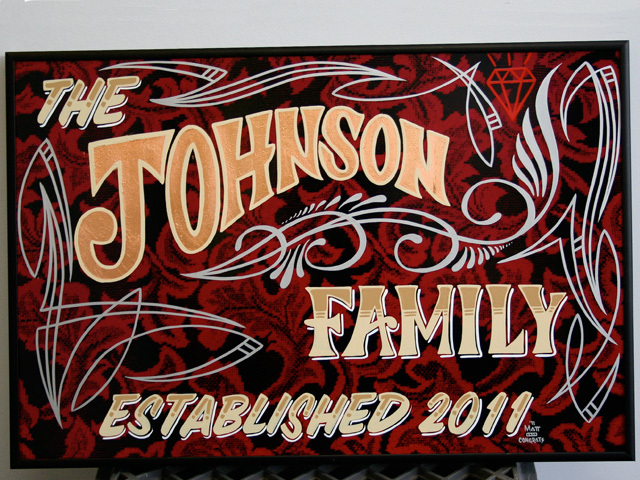 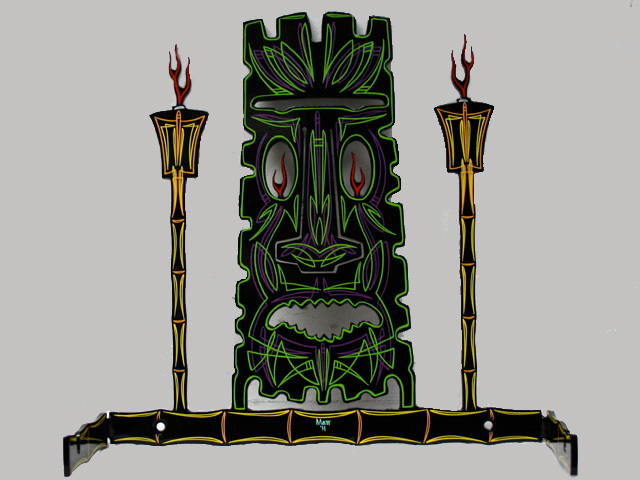 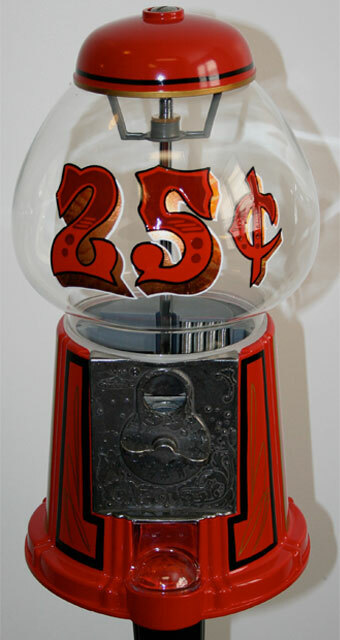 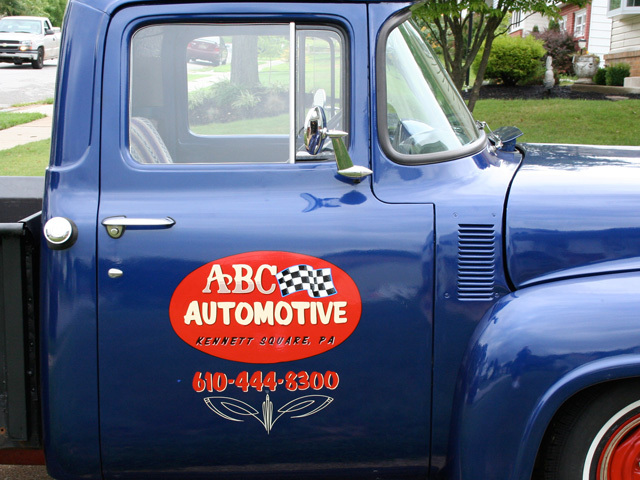 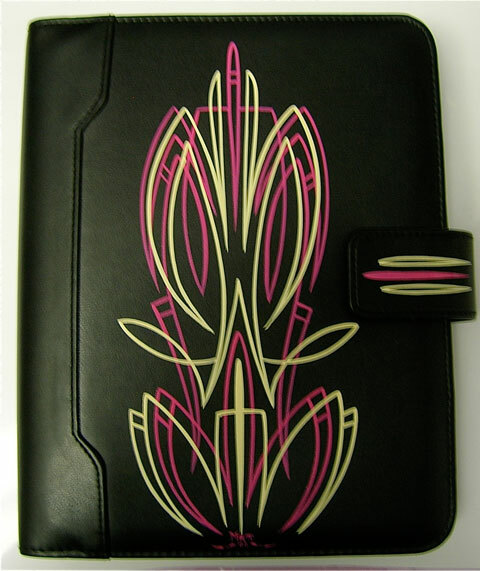 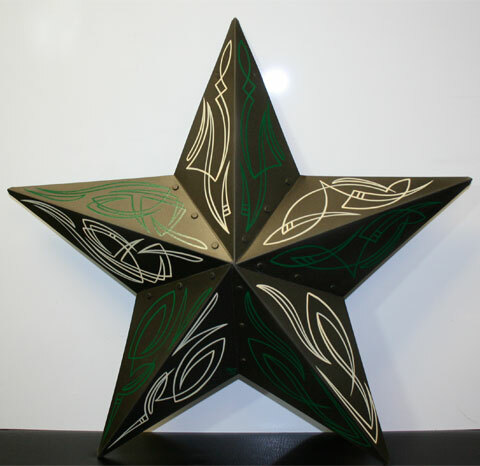 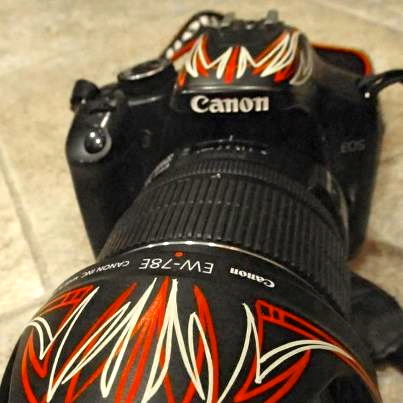 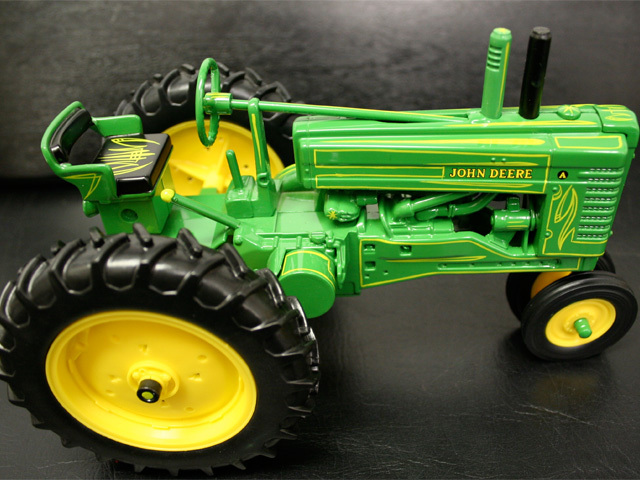 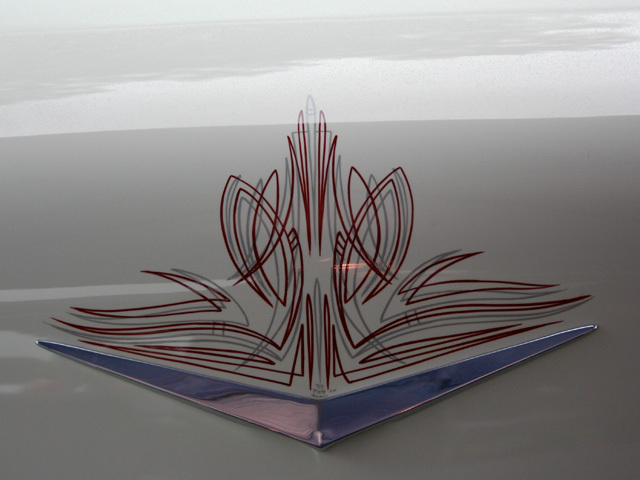 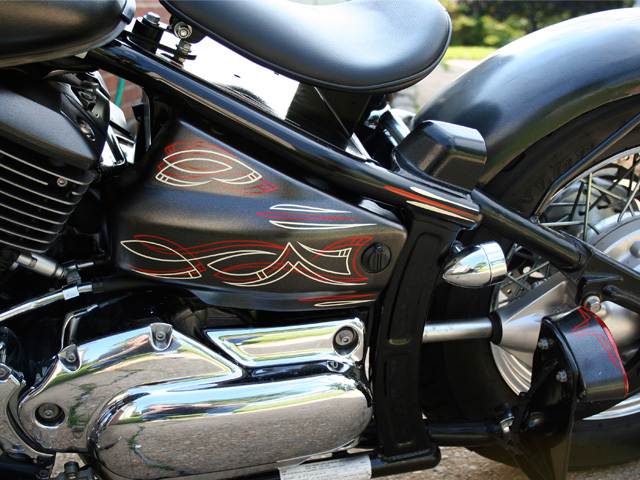 If you have any questions or would like to schedule custom work, give us a call or complete our Contact Us form. 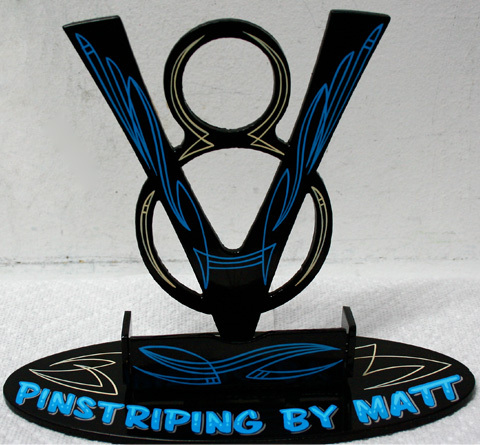 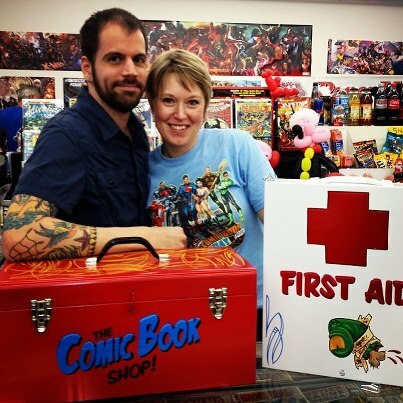 Click through the photos of Matt’s artwork by scrolling over the picture and using the arrow buttons on the pop-up box or by using the arrows on your keyboard.